The best valued free standing headboards / bedheads in Australia. We deliver AUSTRALIA WIDE – Perth, Brisbane, Sydney, Melbourne, Hobart & Adelaide. Our range of free-standing upholstered Headboards / Bedheads will instantly complete the ‘wow’ factor you are looking to achieve in your bedroom. Choosing the right bed base is more important than most people think. The quality of your bed base is as important as the quality of your mattress. With the above in mind we have a selection of bed bases that support both you and your mattress and won’t let you down or risk your mattress warranty. Our bed bases are hand made in Western Australia, constructed from timbers grown as a renewable resource. All of our bases are timber slatted as Natural Latex and Memory Foam mattresses require timber slats to support them evenly from ‘head to foot’. Unlike spring style mattresses that have a rigid, hard spine, our mattresses are designed to flex. This is part of the ‘secret’ to their amazing comfort. Another advantage of a slatted base is that it allows air to circulate, providing a cooler, healthier sleeping environment. All bases are available with either castors or glides. Castors are round and are suggested for deep carpet while glides are flat and a preferred choice on timber and low-profile carpets. You also have a selection of colours to choose from. A stunning selection of fashionable premium Warwick fabrics are available in a wide range of colours which will perfectly compliment your existing or new colour scheme. Great detail went into the design of this classic, stylishly curved, making an elegant, yet distinctive statement in any bedroom. One of our most popular pieces. Inspired by classic European design. This is a beautiful headboard. Old world, yet contemporary and timeless in any language. A must for any bedroom. Strong & Timeless – a stand out feature piece of furniture for any bedroom. 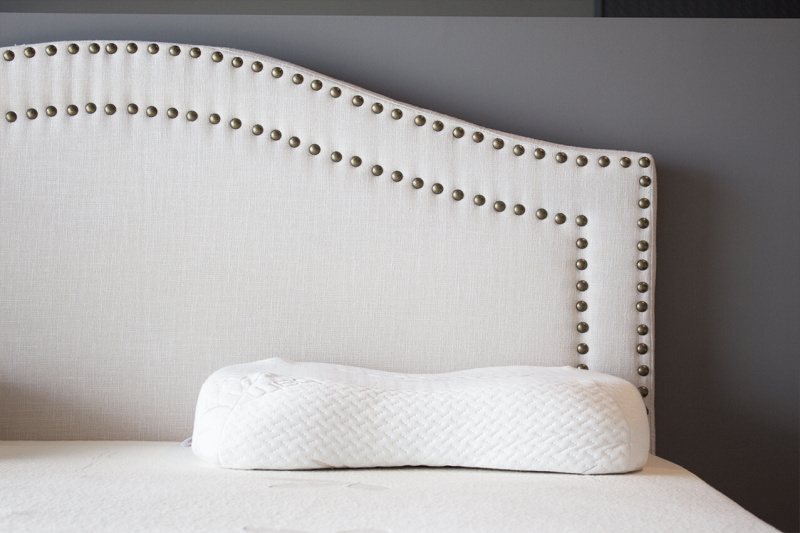 This headboard screams quality and class. Think English country. Think subdued elegance, think success. Subtle natural fabrics create a ‘wow’ factor. Features 2 rows of studs, with brass finish which finishes this timeless piece off perfectly. Luxuriously designed with clean lines and bespoke finish – with additional detail in the stunning buttons and cross over cushion design. It’s like it has been removed from a 5 star hotel room. St Germaine includes headboard and base surround. This winged classic is big, bold and instantly makes your bed the centre of any bedroom. Fits perfectly around our Electronic Adjustable Beds. The stylish Lucia Queen Bed Frame will enhance any bedroom. Elegant rollback on the headboard and footboard gives this bed frame character without dominating your bedroom. The GETHA bed base is specially manufactured to match the TOGETHA mattress. This base foundation is technically designed to compliment the range of exclusive and premium GETHA mattresses. Western Australian hand made fixed slatted base system, finished with high quality fittings. A solid sturdy base is essential if your mattress is to perform properly. Click to Shop All Headboards & Bed Bases Now!